What’s covered in this post? 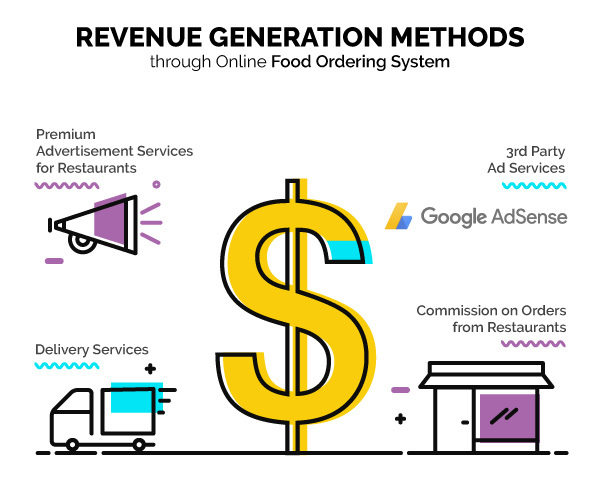 How online food ordering business works & makes money? Who are top online food ordering market players? 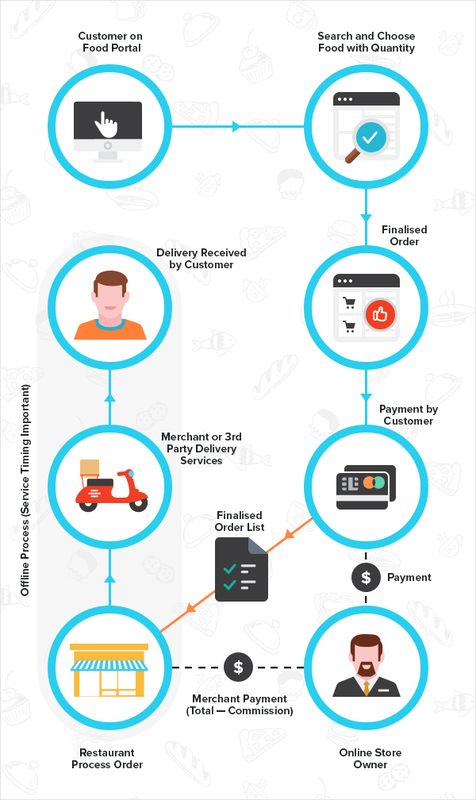 What’s the flow process of an online food ordering portal? What are the essential features of online food ordering store? Online food ordering-delivery platforms are feeding people across the world, and making profits for themselves as well. Their explosive growth has made entrepreneurs sit up and take notice. 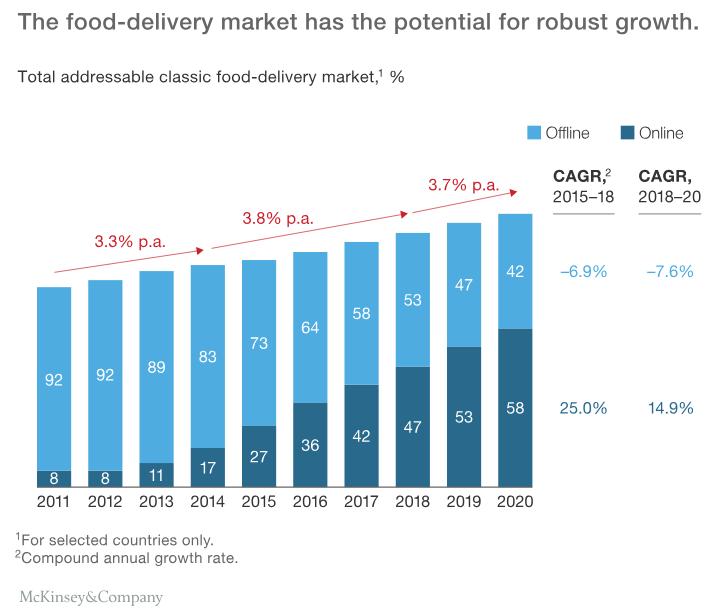 While Seamless, UberEats, Eat24, Delivery, Foodpanda, Grubhub, and Deliveryhero are the top players, local food ordering and delivery startups are also making a name in different countries. Learn how to evolve a profitable online food ordering and delivery website of your own. But before moving ahead, let’s learn how such websites work and make money. Online food ordering platforms like Grubhub.com and Deliveryhero.com follow a simple business model. They act as a common platform between customers and restaurants. Subscribed users search for restaurants, place the order with their chosen restaurant, and pay for it online or opt for COD (cash on delivery). Online Food Ordering systems partner with local restaurants that offer home delivery, and prepare a database. For every order placed through the website, the restaurant gives a pre-decided commission. Restaurants can also get featured on the website homepage for publicity. Now, let’s learn how you can launch the most popular food ordering startups, and make it as successful. Just buying a FoodPanda or GrubHub clone will not establish you as the next big thing in the food ordering and delivery system. You need to take care of various technical and marketing aspects to make your website stand apart. If you feel that by buying a clone script is enough to get started, then you are partially right. It will get you ‘started’; but to succeed you need much more. Focus on building a unique identity or you will end up looking like a ‘me too’ that lacks any originality. Give your food venture the advantage of custom design and programming. It is very important to start off with a feature rich, secure website so that people trust you. Information architecture and database management system should be such that website is easy to read by search engines. They will act as a free source of constant traffic to your website. Adding social sharing button to your website will give you increased visibility. Expecting such features by default in a food delivery system clone will not be wise. Only an expert team of designers and programmers backed by an experienced SEO team can develop such a system. You will need to create an exhaustive database of restaurants in your target location with contact details, menu, areas of delivery, etc. Having an able sales team will help you partner with local restaurants who agree with your commissions and wish to generate business through your website. Make sure your website is programmed to manage a huge database. Build a stable brand name. Figure out issues and conveniently search for solutions. GrubHub the most impactful online food ordering platform started its operation from Chicago. Once it became a local hit in Chicago, GrubHub shifted its focus other US cities. You must read their success story. Unique website design and SEO optimized platform. Mold your business practices as per the local environment and according to different types of customers. What works in offline and online marketing, scaling and day to day operations in one city might not work in the other. Database management and categorization also varies as per the local cuisine preferences. Payment options provided on your website must also comply with the preferences of the general public in your city. Choice between paying through credit cards, cash on delivery, eWallet, etc varies from city to city and country to country. It is possible that the restaurants in your target area do not have efficient internet connectivity, proper food preparation and delivery standards, etc. In this case you need an efficient sales team which ensures to enroll only those eating joints that maintain at least some level of service standards. FoodPanda allows large scale restaurants who can shell out a bigger budget for online advertising to feature their restaurant on the home page as well as a sub domain of FoodPanda. Some restaurants are given the privilege to display their banner and some to be featured in the deals section on their home page. Some online food ordering systems allow the option of allowing hotel reservations and earn a commission there as well. Some have a different revenue model and charge fixed monthly revenue for letting a restaurant list their business on the food ordering platform, irrespective of sales generated. Some allow 3rd party advertising on their website. Introduction of gift cards to invite new paying customers and increase frequency of order placement is another. Develop advanced content filters that allow search based on timing of food delivery from the very beginning. 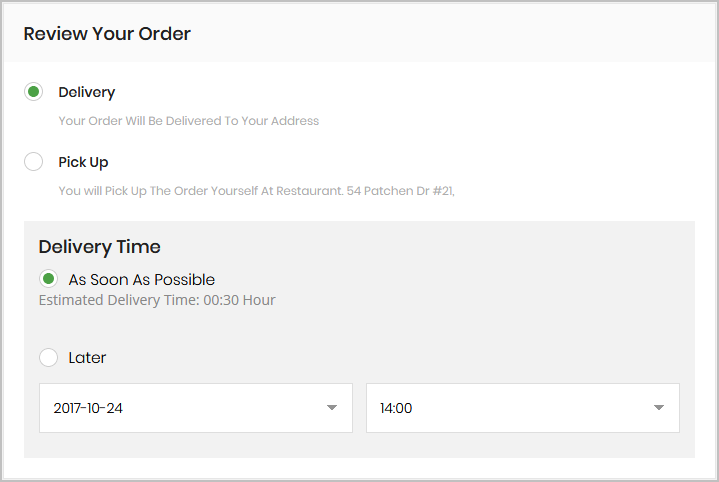 What if a user wishes to see only the restaurants which allow midnight delivery. This is something very practical that most food ordering websites as well as their clones are missing. People prefer to order online because of convenience. So, make the order placement process quick and easy. This is possibly only if your site has been created with usability in mind. A FoodPanda, JustEat or GrubHub clone will not have optimized user experience. As an intuitive user interface for mobile applications and website is a key thing that heightens the credibility of your business. An experienced UX optimization professional can help you improve site engagement and conversions as well. 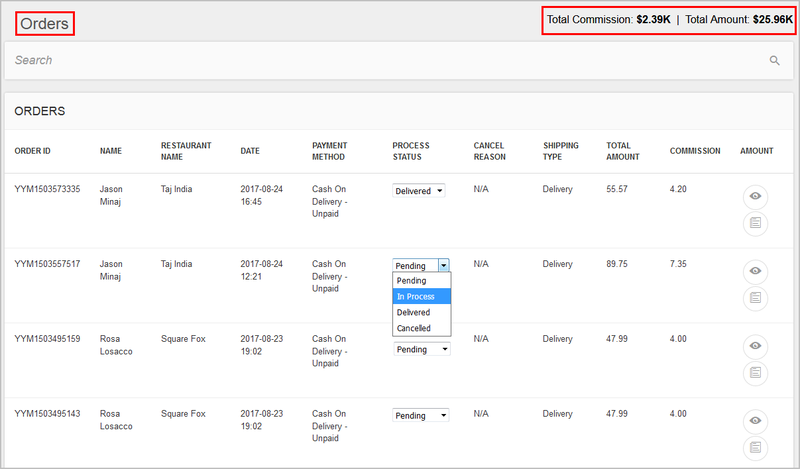 Saving past orders, delivery addresses, partial payment details, and other relevant information in the dashboard is an efficient way to quicken the online order processing. Introduction of eWallets for quicker payments is another. Your audience will want to access your website when on the move. Thus, having a mobile optimized/responsive website is very important to increase your reach. If you wish to later invest in a mobile app, you can do that. But in the beginning, getting a mobile friendly online food ordering platform is a must. As development partners of established online brands, we wouldn’t recommend you to launch your online food ordering website on a standard script. 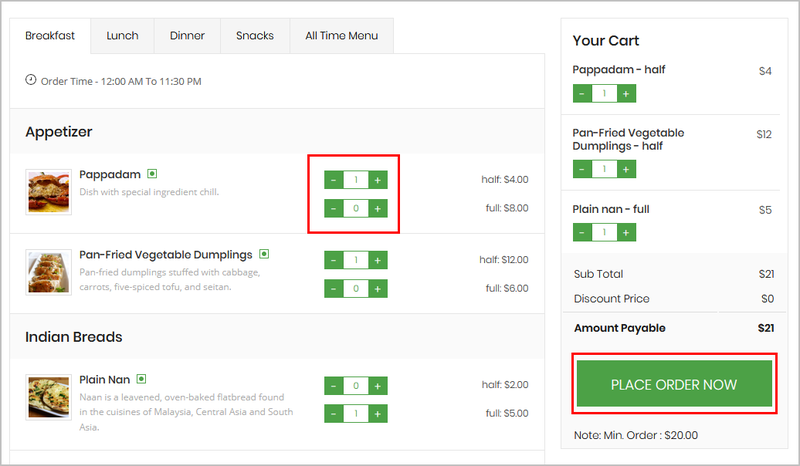 To make your FoodPanda clone stand apart, you need unique design, custom features, and sharp marketing strategy. Don’t buy a food ordering marketplace solution first and think about customization later. Join hands with a web services firm that can help you with design, development as well as online marketing. This will guarantee you an online food ordering system that will be superior to a clone in every possible way. Discuss your website requirements with our team to get a website that will far superior to FoodPanda and GrubHub. 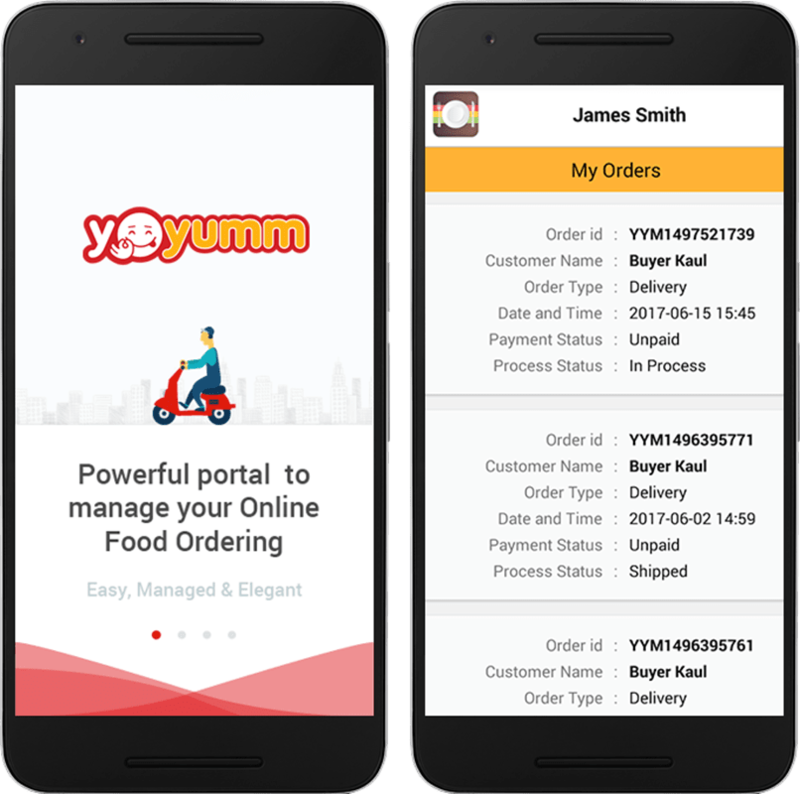 Also to ease out the order and delivery management leading food ordering marketplace builder offer android apps for restaurants and delivery boys. 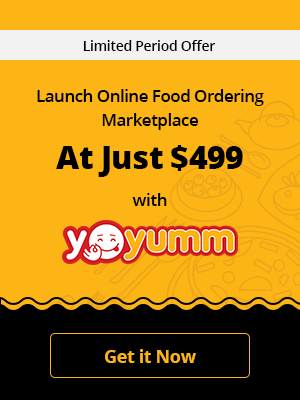 Features screenshots are taken from Yo!Yumm (online food ordering system) demo website. 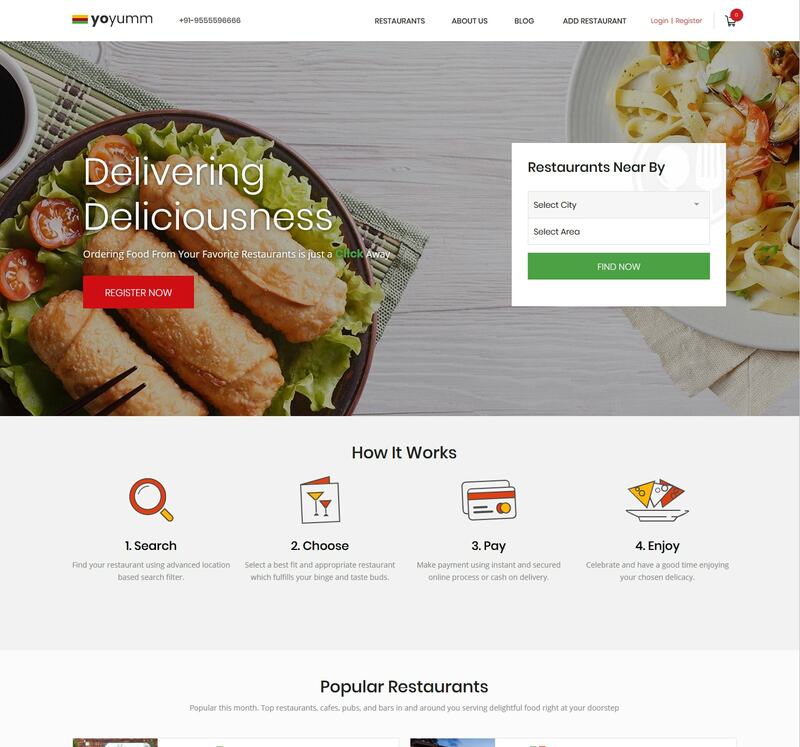 Posted in Food Delivery Startup Ideas and tagged as food ordering and delivery business model, online food ordering and delivery website, online food ordering system, Launch a successful online food delivery system by Hemant Bisht. Hemant heads the design team at FATbit, and helps us in creating website designs that are not only visually appealing but intuitive as well. His creative excellence and firm grasp on design fundamentals makes him favorite amongst clients. This is really a quality content. foodpanda in India has a good market reputation for both quality and delivery. I am genuinely happy to glance at this blog posts which carries tons of valuable facts, thanks for providing such information. Keep coming for such blog posts. i feel ur review is very helpful for any starter. thankz to FATbit for this. If your website needs a lot more traffic, you could have already looked at other advertising options. Though there are incredibly other marketing avenues that one could try in order to improve your traffic, however, search engine marketing is amongst the very ideal way to generate massive amounts of traffic which you have never seen before. Thank you for sharing this informative content as per improving the delivery website for customer satisfaction. please contact me, i am looking to start a venture like foofpanda. I appreciate the great shipping and delivery tips that you included in this post. I think that the most important part of delivery is communication. A lot of people, including me, get frustrated when we do not know how far away our package is, or how long it will be. With both of those questions answered, I think that it would be a smooth transaction. Thanks for sharing with us. We got the nice information about the restaurants. because I was looking for thoughts on this subject last Saturday. Online food ordering systems have changed the restaurant industry. Online food ordering is a process of ordering food from a local restaurant or food cooperative through a web page or app. Thanx for sharing this amazing blog, very informative blog. Online food ordering app development is really beneficial for both customers as well as Business Owner. Again thank you for well describe the features of Food Ordering and Delivery Website. hello excellent post , Thanks for sharing with us , its are important for us , Today mobile app are most important for our business. Thanks, Adam for the appreciation! It makes me even more curious. Wonderful insights here at you blog. Very informative post. It’s the best to place for the good decision to buy online product and food. Thanks for sharing this kind of blog post. 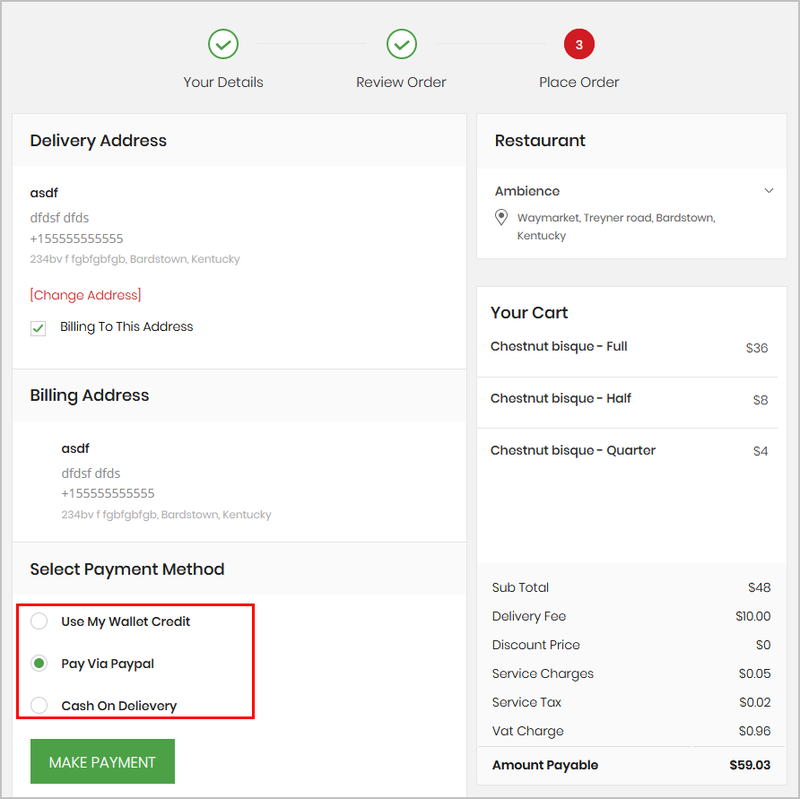 I have gone through an entire blog which describes an advanced feature of food ordering & delivery software system. I agree with you online food ordering software is a huge success. Keep visiting us for more such interesting content. All restaurants and hotels should have online shopping and food door delivery facility. Find more discussion regarding this at Why your Restaurant should have online food ordering system? You covered various nice points there. thanks a lot for this help,you are very helping us out as the starters and we are learning a lot from you keep it up!!! Today online food ordering portals are very helpful to food lovers. Sir, This was really a great content. I have many questions to ask you and need support and suggestions. This is because I am planning for such new app. Please contact me if you can. Our Sales team member will get in touch with you to discuss the same. I liked the idea of starting small and then expanding over time this can save huge investment risks… But, one should keep the quality very high other people do not take a small business seriously if they are a startup and low in quality. Online food delivery systems require customer satisfaction and the service provided. The main problems comes up when there is stock availability on the website but actually, it is not available. This needs to be taken proper care of. That’s right. Showing the out of stock message during the checkout process or on the last moment is a big turn off. Food Ordering websites should make sure they hide unavailable items or at least show an out of stock message on the detail page, so that the user is not disappointed later. Good Post. Your blog is very informative for us. I would really like to come back again right here for likewise good articles or blog posts. Thanks for sharing a nice information. Keep visiting us for more such post articles.